* Click here for full and most recent T&C's of Slotsmillion. Slotsmillion Casino, a part of the gambling group Alea Gaming Ltd, is an online casino that – as you may have guessed from its name – mainly focuses on slots, allowing you to win millions of euros if you happen to be so lucky. Although, in order to provide an immersive experience for gamblers, it does also offer regular casino games as well, alongside something rather special. As part of their strategy, it is claiming to be the world’s first Virtual Reality Casino. Through virtual reality glasses, you no longer have to leave the comfort from your own home to be able to set foot inside a casino and take in the atmosphere. So, let’s focus on that most important selling point first. A world’s very first, or so Slotsmillion says. They dubbed it the Virtual Reality Casino, that runs on special software making use of virtual reality glasses, such as the Oculus Rift. This allows you to see an actual 3D-casino all around you. It makes you feel as if you are walking through an actual casino, instead of merely through your living room. The required software can simply be downloaded through the website, after which you can play classics such as Steam Tower, Twin Spin and Foxin Wins. While this is certainly a neat and fun extra, that shows that Slotsmillion is definitely looking at the future, it will not be relevant for most gamblers yet. They are more likely to be interested in the huge collection of slot machines and video slots. This collection encompasses more than 1800 slotmachines that can be gambled on. The online casino is working together with virtually all game developers out there, which means that most – if not all – of your favourites should be included. The homepage has a couple of handy categories, including the most popular games, the most recent additions, and the current jackpots. All other slots can be sorted on their developer, but also on their theme or specific gaming options. An additional search function is available in the form of a ‘Filter’ button on every page. When you click on this, you will be able to choose between Slots Games and Casino Games, after which you can specify your preferred game as much – or as little – as you’d like. Which software developer, theme, payline? A great way of discovering games to suit your taste. Looking for some more fun, just like in an actual casino? With some fun table games or card games? Whereas in past years, Slotsmillion Casino would not have been the place for you as they did not offer games such as roulette, blackjack, or baccarat; they were added recently. And quite extensively so: the casino games page features some 300 versions of a wide variety of card games, roulette, scratch cards, and more. Enjoy a game of baccarat, craps, poker, pontoon or keno; spin the roulette wheel or try your luck at a game of blackjack. 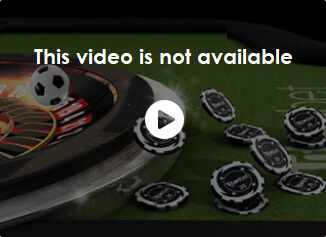 Despite the presence of a high-tech virtual reality casino, Slotsmillion does not offer a live casino as of yet. Thankfully, the Virtual Reality Casino does offer a possibility of interacting with other players who are also present in the VR Casino. Perhaps it could grow out to be the future of live casinos – who knows! The website might at a first glance appear somewhat dull and predictable. It has clearly been designed with functionality in mind, with no space for flashy extras. A simple black menu bar on top leads you to most pages, a slideshow banner below highlights some promotions or games, and after that, rows and rows of game thumbnails are stacked. So no, not a very unique proposition – but easy to understand and guaranteed to keep clutter to a minimum nonetheless. If you are drawn in by this massive collection of slots – probably one of the largest collections out there – you can hit the green ‘Register’ button to sign up to the website and take advantage of the offered welcome package right away. After clicking, you are redirected to a short form that prompts you to fill in your personal details. And, just like that, you will receive your first free spins – even before having to deposit money! Although that will soon be your next step. The payment process is painless and smooth, as it uses familiar methods that are commonly used online. All transactions are processed swiftly and discreetly, so that you do not have to worry about your details falling in the wrong hands. Deposits can be made through credit cards (Visa, MasterCard), as well as Maestro; a variety of e-Wallets, such as Skrill, Neteller, ecoPayz and Trustly, and a variety of online banking methods. The minimum deposit is € 20, and the maximum deposit € 1,000 – except for bank transfers, for which no maximum applies. Do you particularly enjoy slot machines? Then the welcome bonus offered by Slotsmillion Casino is sure to draw you in. After all, slots is what this online casino specialises in. Consequently, most of the bonuses are focused on these slots as well. The welcome bonus is no exception to this, offering a number of fun extras per day. As mentioned above, once you create your account, you already receive 10 free spins that can be used on Starburst. After that a deposit is required to unlock the remainder of your welcome package. This is composed of a combination of free spins and a deposit bonus. On the first day, you receive a 100% deposit bonus up to € 100 as well as 20 free spins on Gonzo’s Quest. On the four days after, you receive 20 free spins each, for various slot machines – including Twin Spin and Jack and the Beanstalk. There are some specific guidelines as to when you can actually withdraw your bonus, or the profit made from the free spins (with a maximum of € 200). The most important guideline concerns the wagering requirement, or the amount of times you have to gamble with the bonus amount before it is truly yours: this adds up to 35x the total bonus amount for Slotsmillion. Extra promotions and bonuses are a sure way of keeping gamblers hooked. After all, who does not love a free extra or giveaway? At Slotsmillion Casino, this point is well understood. This has resulted in a well-filled promotions page and bonuses available every time you log in. What to think about the Ladies’ Night bonus, that provides female players with a deposit bonus of 40% on every Monday night? Or, not to be missed, the Gentlemen’s Night bonus, with the same benefits but instead available on Wednesday nights? Or what to think about the Slunchbreak, that gives players free spins if they deposit money between 11am and 1pm on a weekday? Do you prefer to gear up your gambling right before the weekend? Then the Friday Fun bonus might be for you, promising a nice extra if you deposit money on Friday afternoon. Similar bonuses are available around the clock, offering free spins, cashback bonuses, presents, and other fun extras. Players will most definitely not feel ignored at Slotsmillion. Have you won big? And would you like to use some of your winnings to pay for real-world amenities or goods? Then you would be happy to find out that the process of withdrawing money is rather easy at Slotsmillion Casino. Every month, you can have up to € 50,000 paid out to your accounts. The options for doing so, however, are somewhat limited. You can choose to have your money credited to a bank transfer, requests for which are processed within 2 days, and to an e-wallet, that should let you control your money within 24 hours. Interesting: it does not appear to be possible to have funds transferred to your credit card. Although the ease with which you can have the money transferred to your e-wallet or bank should be enough to remedy this. Most gamblers prefer not to be bound by a certain computer or laptop in their home. Instead, they have a lot of downtime while travelling, on the go, or during breaks at work. Downtime that they’d love to spend playing on the slot machines. This is why it is useful to know that Slotsmillion’s website also functions well on mobile devices. So if you are trying to play your favourite slot on a tablet or smartphone, you can do so by entering the web address in your browser. This will automatically take you to the special mobile website, adapted to fit on your small screen. You can log in with your usual details and start gambling on the available games right away. No software required, no separate app needed. A simple and very useful addition to the online casino! Slotsmillion adds more value to their players’ gambling activities by rewarding loyal players. They do so through a dedicated loyalty program, that allows people to earn points from the moment they sign up. The higher the point total, the greater the extras, rewards and perks that you will receive. This includes free spins, higher deposit limits, faster withdrawals, reload bonuses, no deposit bonuses, cashback promotions and higher prizes at tournaments. It definitely pays off to collect points and become a regular gambler at Slotsmillion. It takes very little effort to get in touch with a customer service team member of Slotsmillion. Whenever you run into a problem with the site, no matter its nature, you can click on the ‘Help’ button located on the right of your screen, right in the middle. It looks like some kind of tab, and once you click on it, a screen unfolds. It includes possibilities for emailing, chatting or phoning up the customer service team. For the phone option, you can leave your number behind, after which an agent will contact you personally asap. The same applies for messages sent by email, whereas the live chat will get you talking to a help desk employee within moments. The choice is up to you, while the casino ensures that you are assisted by knowledgeable and professional employees. Just look past the slightly dull appearing website, and you will be pleasantly surprised. Especially if you prefer to play the slot machines, then Slotsmillion Casino is definitely something for you. The number of slots offered is unparalleled and constantly increasing, up to a current total of 1800. It includes all the popular and well-known slots from the most famous developers – and despite the big number, it is still organised in a clear manner. And once you get tired of the endless reels, there are plenty of table games and card games to try your luck at. Roulette, blackjack, or even the rarer games like craps, pontoon and keno. Another definite plus of Slotsmillion is their Virtual Reality Casino. Although it is doubtful whether it is actually frequently used, it certainly provides an extra edge. Players who own virtual reality glasses, such as the Oculus Rift, can fully immerse themselves in a real casino and take a seat at the bar or play on a slot machine. You can also meet other players who are walking around in the virtual casino. Plenty of fun stuff to enjoy, and the way that Slotsmillion organised their business makes it easy to enjoy as well. The casino owns licenses that stipulate its dedication to fair play and security, and takes great care of money business. Both deposits and withdrawals are processed swiftly and smoothly, without additional hassle; and if there are any questions or problems, you will be sure to find the answer on the website or by reaching out to the 24/7 helpdesk through a convenient chat function. So, safe ánd fun. An online casino that is definitely worth your time. In 2014, SlotsMillion Casino launched – a mobile compatible online casino owned by Alea Gaming Ltd Casinos. An instant play interface allows access to more than 1,200 different slots from multiple software platforms, such as; Iron Dog Studios, Leander Games, Euro Games, iSoftBet and many, many more. Players can expect first-class customer support, fast withdrawals, deposits through many currencies and deposit methods and plenty of promotions. Licensed and regulated by the Malta Gaming Authority, Government of Curacao and the UK Gambling Commission. Receive a 100% bonus up to €100 when you register.